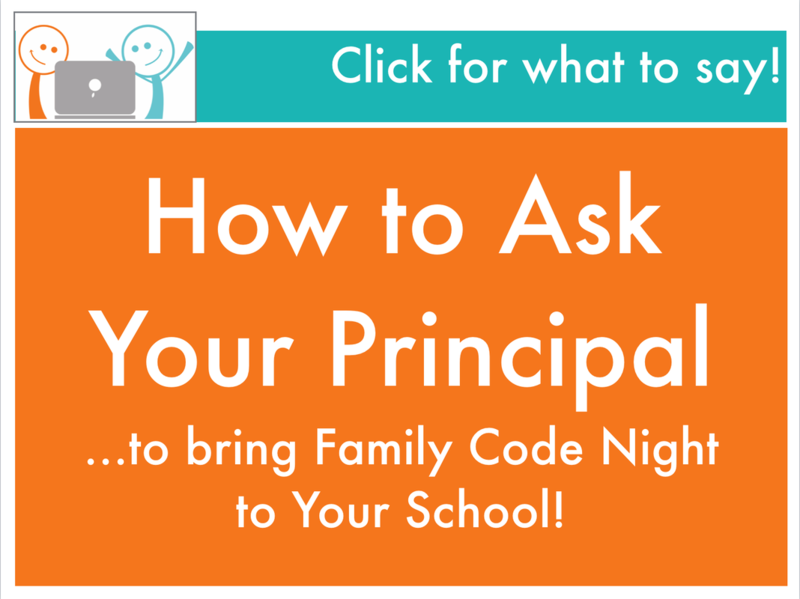 Your school has not yet scheduled a Family Code Night. 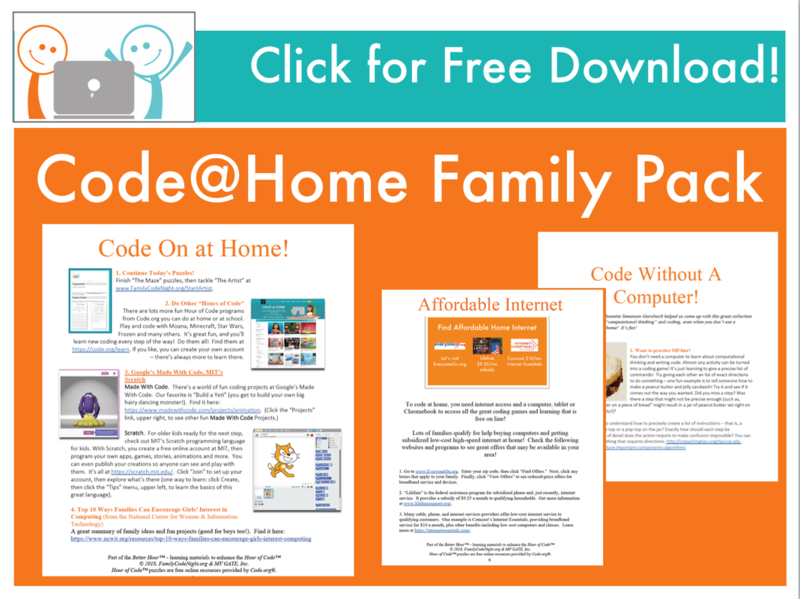 First, click on each image below to ask for a Family Code Night at your school, and to download easy coding games and activities you use with your children, at home and at school! Invite Your Friends at School to Join In! Send other parents at school the message below, and ask them to join you to get more coding and CS education at your children's school. I just did something you might want to do too! 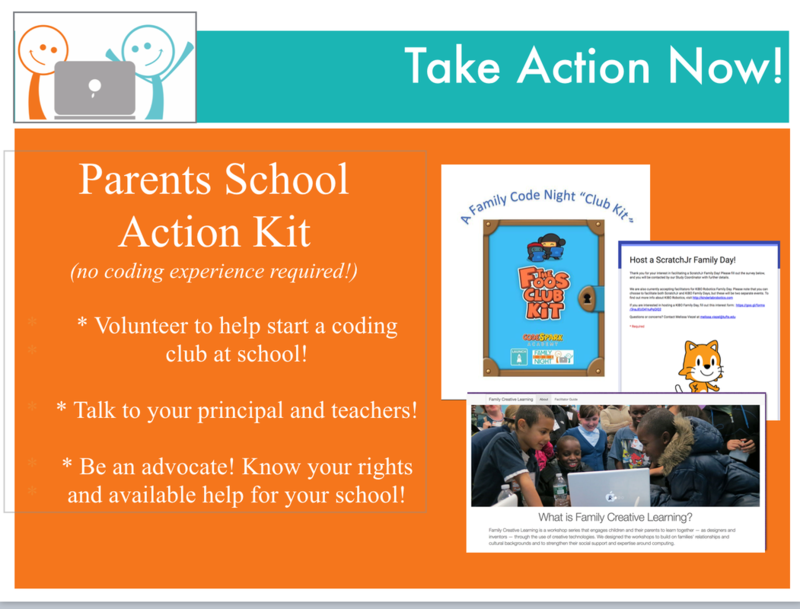 I visited the North Carolina Family Code Nights webpage, clicked on our school, and asked for a Family Code Night for our kids. On that website, I also downloaded free games and info to help my children start to learn about coding and computer science! Our children need to learn this K-5, and we can make all the difference, especially if we act together. It's our school, it's our right, and we can help make it happen. (I hear it's a lot of fun too!)" 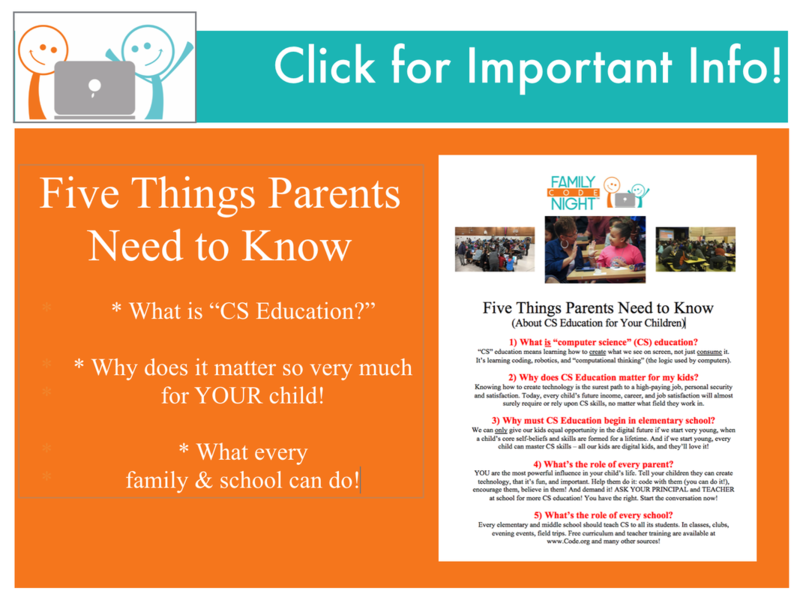 FamilyCodeNight uses puzzles from The Hour of Code™, a nationwide initiative by Computer Science Education Week and Code.org® to introduce millions of students to one hour of computer science and computer programming.